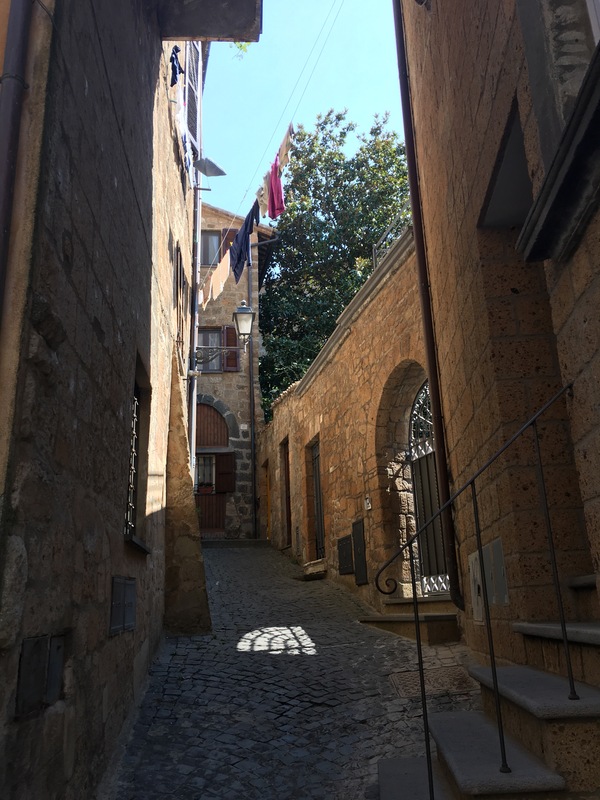 Orvieto is a little city perched high on a flat hilltop in central Italy. It’s the type of picturesque town where every street and building looks staged for a photo-op. 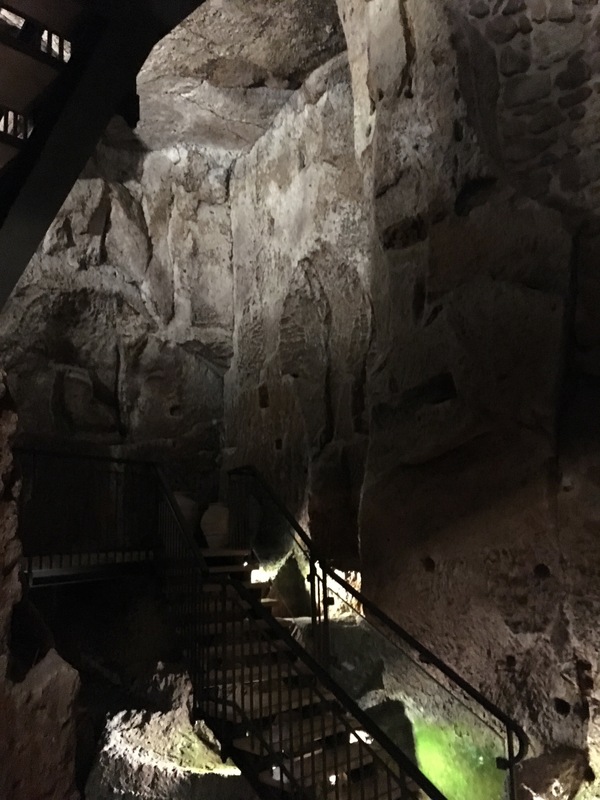 Underneath the city itself lies a vast network of man-made caves and tunnels — more than 1,200 of them dating back 2,500 years. Then, somehow, the caves were forgotten, until a natural disaster opened them up to the world. Look at that. That’s someone’s laundry, but it still looks inviting. 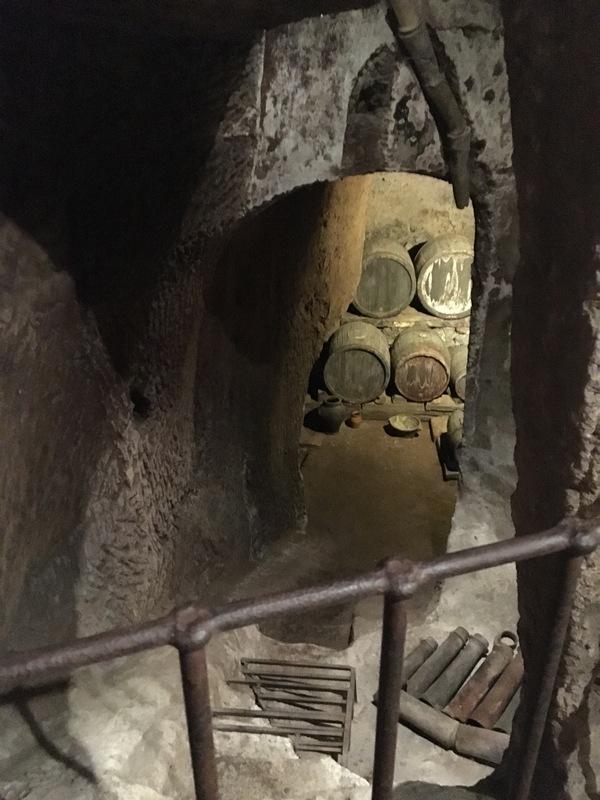 Dug into the soft but durable volcanic rock, these aren’t catacombs like the tunnels around Rome. Some of these were escape routes for wealthy residents who needed a way off the mountain in times of siege. 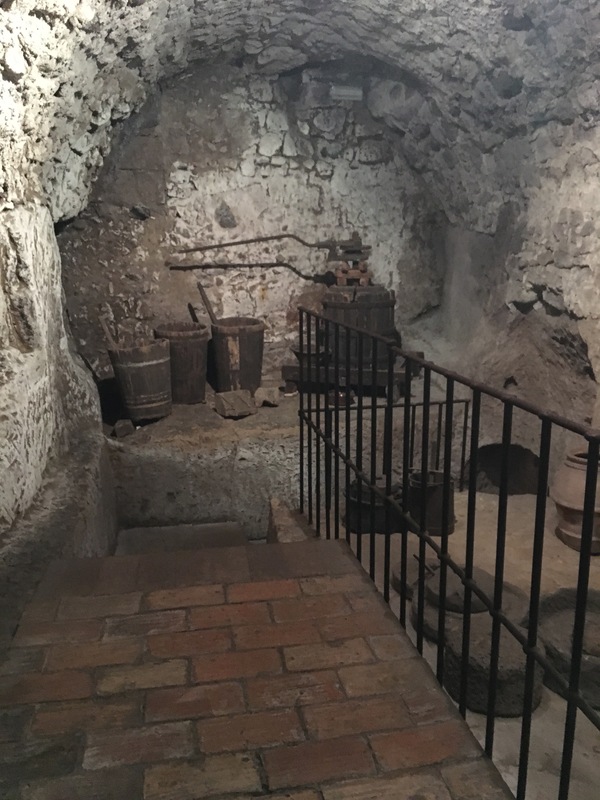 Others held kilns or operated as cellars. One even contained a large olive press. Archaeologists continue to excavate the caves and find relics that are centuries or millennia old. These caves had been carved out over thousands of years, painstakingly by hand. But, somewhere along the line, they fell into disuse. Closed up and inaccessible, all that remained was a legend that the city was “all empty, beneath.” And even that legend had become faded and confused by time. All that changed, however, when a landslide in the 1970s opened some of the caves up to the outside world. That one natural disaster had gone from threatening the historical beauty of Orvieto to adding to it. 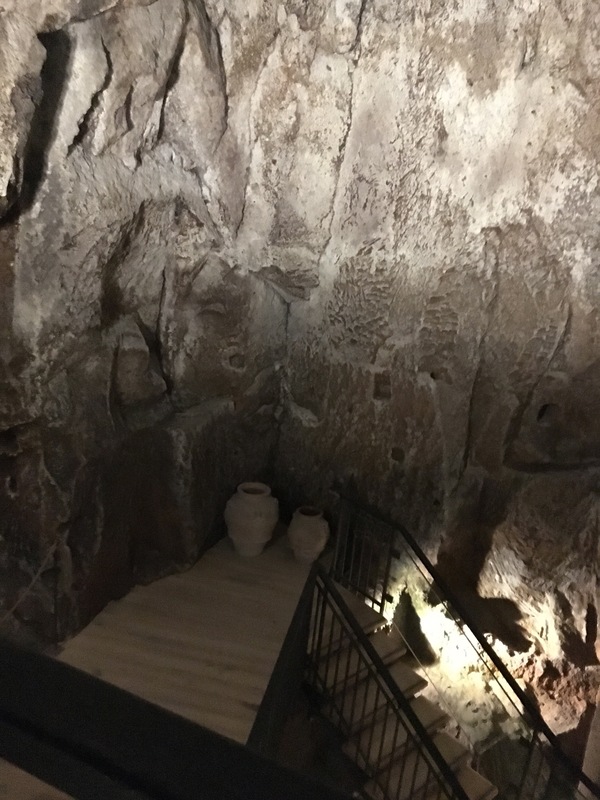 Today, some of the caves are open to tourists. Portions are set up to replicate how they may have looked back when they were in use. 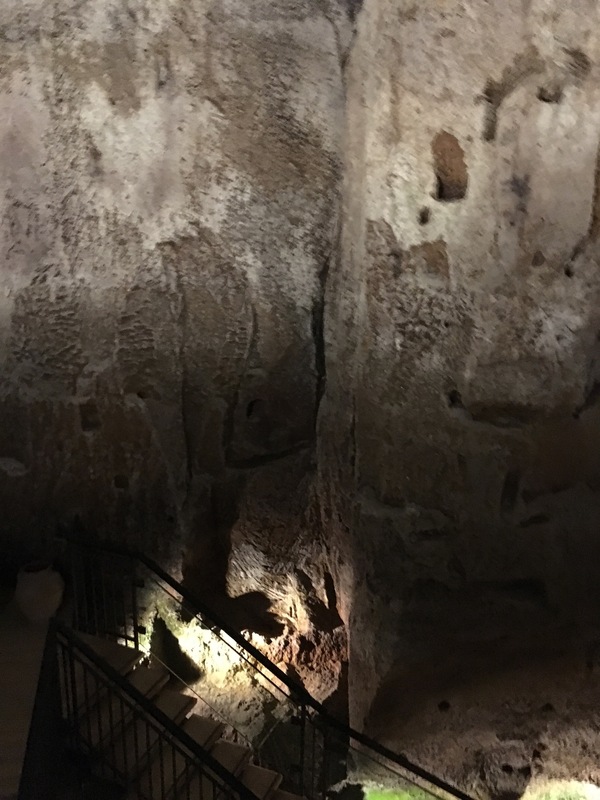 If you look at the walls of the caves and tunnels, you can still see the marks of ancient tools, carving out this subterranean world in the rock.